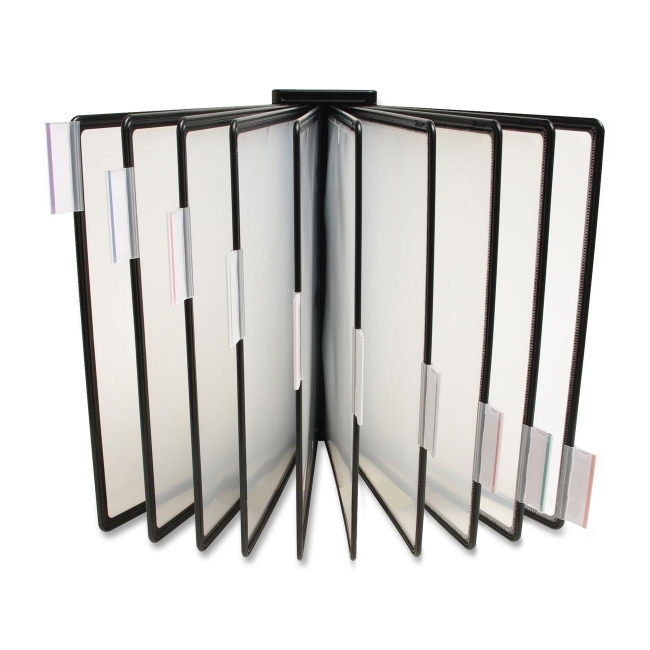 Tiltable catalog rack includes 10 panels that hold up to 20 documents. 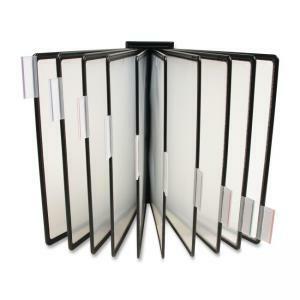 Tilt ranges up to 25 degrees for comfortable viewing. Base has rubber feet to help stabilize the rack from sliding on your work surface. Injection-molded frame is made from 100 percent recycled polypropylene.